Change ins't always good. This is proof. We’re exactly two months away from the official live reveal of the completely redesigned Jeep Wrangler, and when it comes to this iconic 4x4, change isn’t necessarily good. Change as in, for example, a car-based platform, which is the case for the Renegade and Cherokee. 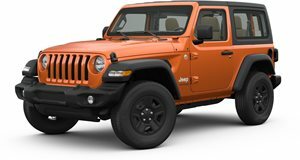 Those Jeeps can get away with becoming crossovers, but not the Wrangler. No, the Wrangler is something different entirely, an icon, if you will. Fortunately, Jeep rightly knew that dropping its live-rear axle would be sacrilegious. 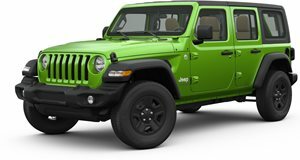 The exterior styling also had to remain intact, and these latest images, courtesy of the crew from Jeep Wrangler Forum, are about as close as you can get, short of the real deal, of the new two-door Wrangler, codenamed JL. We’ve seen several and probably spot-on images of the new four-door Wrangler, codenamed JLU, as well as the Scrambler pickup, which is still a year or so out, so it’s nice to finally have nearly fully accurate images the famous two-door variant. At first glance, it looks just about like all previous Wranglers, but there are some differences. Behind the front fender, for example, there’s a new air vent and the turn signals are now integrated at the front of the same fender. Another positive signs, shown previously on some spy images and also taken into account here, is that Jeep managed to retain the folding front windshield, evidenced by the hinges located next to the wipers. A variety of engines will be available, specifically the familiar 3.6-liter V6, a diesel, and a turbo-four. For now, check out these renderings shown in several colors (we particularly dig military style green olive). The big reveal is just around the corner.